Keeping your building in good shape is essential, whether you’re a homeowner or managing an apartment. You don’t even need to own a building yet—for those of you about to move into a new place, pre-purchase inspections in Melbourne can identify red flags before you put down serious money on a property, saving you from potential problems further down the road. It’s also a good idea to have regular building and pest inspections in Melbourne when a property is already in your care. After all, just because a building is pest free the day you move in doesn’t necessarily mean it will never require maintenance—and the sooner you notice these problems, the better equipped you’ll be to fix them before they have a chance to get out of hand. Building inspections in Melbourne should be carried out by qualified professionals if you want to achieve meaningful results. Ideally, you’ll want to seek out a company that offers several different building inspections to Melbourne property owners, so that you can be sure they know what they’re doing. Certain companies will be able to conduct property inspections in Melbourne that identify both structural and timber pest problems so that you can detect and rectify issues quickly. New buyers can then move in with complete confidence, and current owners can live in comfort. 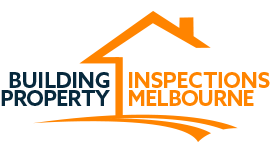 One of the most trusted names in building inspections throughout Melbourne is Building Property Inspections Melbourne, a company that has provided state of the art service since 2005. Our inspectors have more than a quarter of a century of experience behind them, and we pride ourselves on being thorough in our work. Our sharp eye for detail and committed customer service ensures that our customers can always trust our results. By inspecting all visible timber inside and outside of the house, as well as timber fencing and old trees on the surrounding area, we’ll be able to verify the integrity of your timber, and point out any solutions you may need. Taking the time to have a pre-purchase inspection done might seem like an optional step, but it often turns up issues that buyers may otherwise have been unaware of until after spending serious money. It’s an important and necessary procedure for anyone who wants to mitigate the risks they’re taking by purchasing a new property. At Building Property Inspections Melbourne, we make ourselves available on extremely short notice so that you can always make the decision to save money by calling us. That way, it’s never too late to have your property inspected. When you call us for help, you’ll be arming yourself with the best weapon against risk: knowledge. We help you make decisions on what should be exciting investments, so that you can experience all the right emotions when making a purchase. Contact us today for more information.